Arteriors’ Windsor Smith Collection is now on display at the LCDQ showroom. Having debuted a selection of pieces from the collection in Windsor’s Legends 2015 window, the store now offers the complete set. Windsor Smith’s window design for Arteriors during Legends 2015 included her Athena sconce, Mercury sconce, Elis stool, Pax console and side tables, and Lares lamp. Windsor Smith is the newest guest designer at Arteriors, joining fellow designers Laura Kirar, Lisa Luby Ryan, and Barry Dixon. 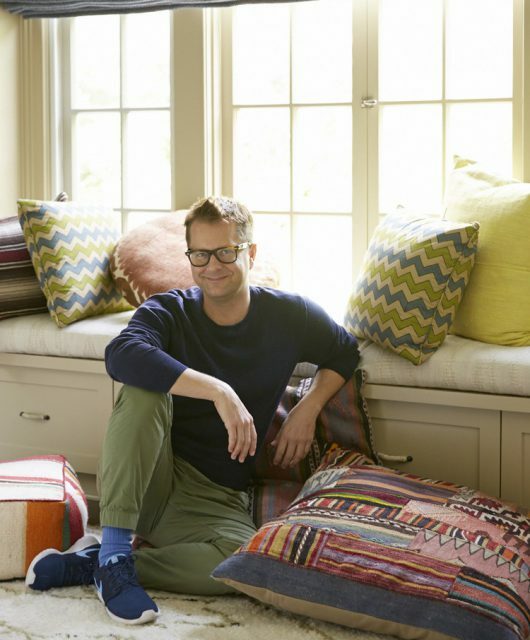 A favorite of design bloggers and editors thanks to her fresh approach to modern day living, Smith has been honored by Veranda magazine as one of the top 25 design influencers in their 25-year history. She designs interiors for leaders in the entertainment and business worlds, creating gracious silhouettes that reflect her client’s personalities. 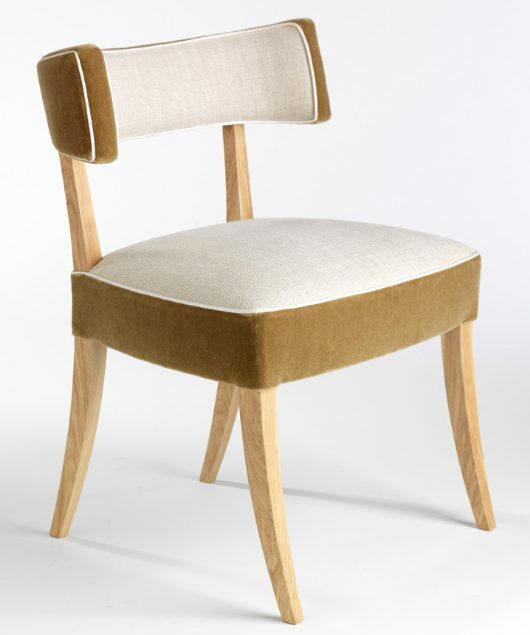 In her 40 piece collection for Arteriors, Windsor nods to classicism with a uniquely modern twist all her own. Her goal was to “create the heirlooms of tomorrow.” To do so, she pared down iconic motifs of Greco-Roman detailing with new simplicity, mingling classic patterns with the clean lines and finishes of Danish Modern. The juxtaposition creates an appeal that feels both current and timeless. 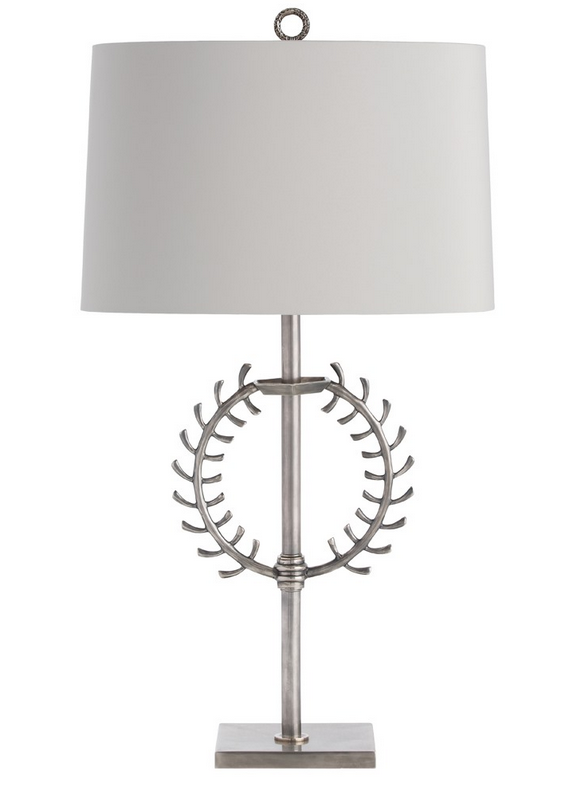 The vintage silver Crete lamp (below), for example, is a simplified interpretation of the classic Greek laurel wreath. 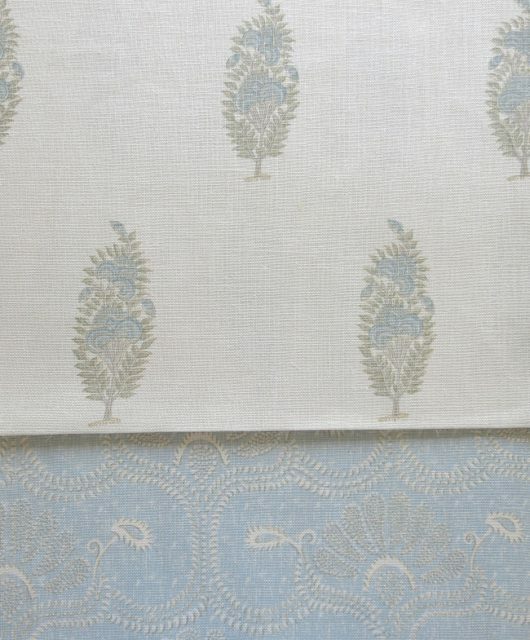 Paired with a soft grey oval shade, it achieves balance between old and new. Likewise, the 8-light Hera oval pendant (below) is a modern interpretation of the purity of form of Greek and Roman columns. 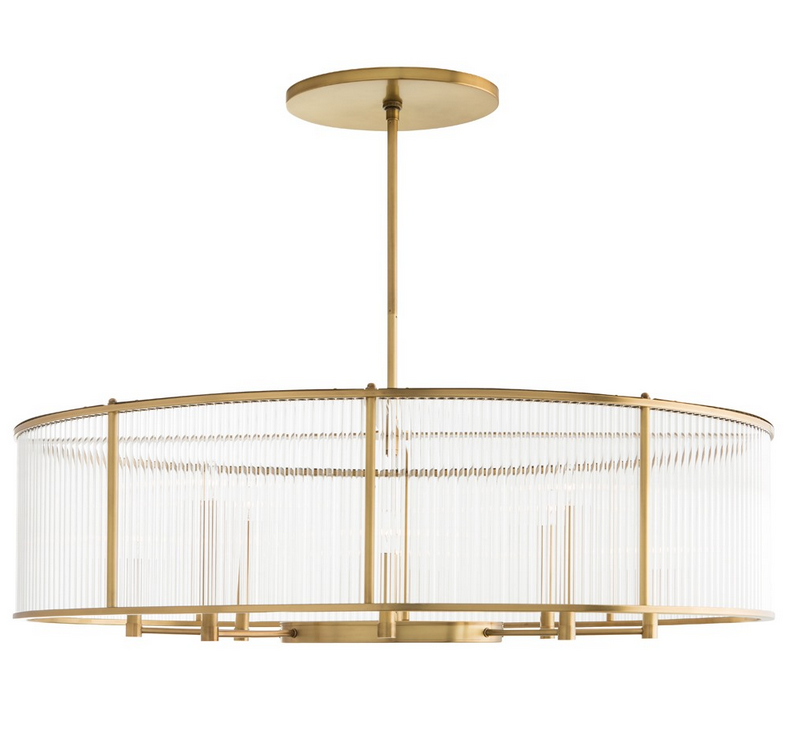 Using glass cylinder rods to provide the exterior frame, the pendant has an antique brass finish and candelabra lighting that give it a look that’s both bold and delicate. 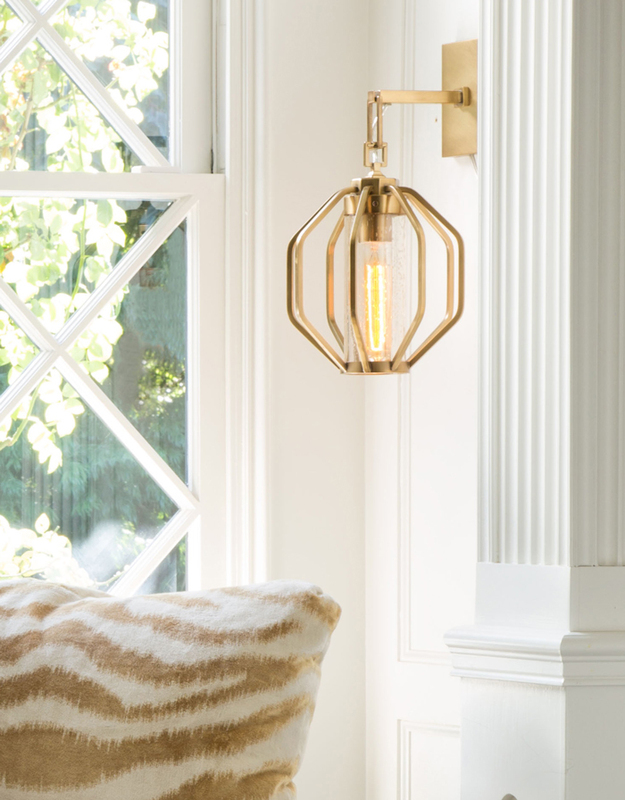 The antique brass Atlas sconce plays off of the classic geometric hexagonal shape, while its chain link drop and translucent glass chimney insert add to its clean and modern appeal. 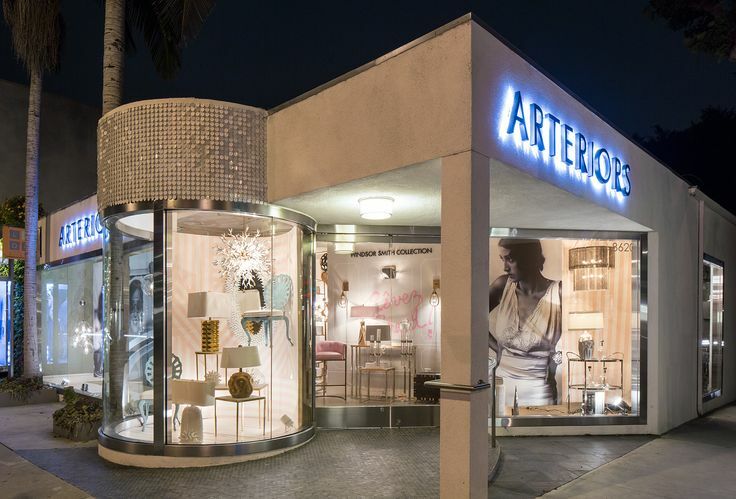 To see the entire collection in person, visit Arteriors’ Los Angeles location. Arteriors was founded 27 years ago by Mark Moussa and has a reputation for specializing in unique and artisan crafted lighting, accessories, wall decor and furniture. Launched with a focus on traditional accessories in classic materials, the company now offers a wide spectrum of styles in luxury materials and finishes scaled specifically for design lovers with up-to-date sensibilities.